Find out more about why I’m taking the challenge! I write this at the end of two days of my Food Security Challenge, my attempt to walk the talk of hunger relief for 30 days out of the year. The two days have been an incredible contrast. I decided to fast on the first day to get the tiniest taste of what it feels like to be one of the millions of Americans who skip a meal or two, usually so that a loved one can eat instead of them. Hunger is invisible in our communities. It is not the just the homeless dude with the ‘Jokes for Sale’ sign, it is family working two jobs, the senior who has a handful of change to get her to the end of the week, the child who can’t get a non-existent bus to get to school early enough for a free breakfast. It was tough to go without food for 37 hours, drinking only water with lemon. My ability to concentrate went out the window. My wife Mari was convinced that I would become ‘hangry’ (hungry and angry) and start getting argumentative, so I was determined to focus lots of energy on making sure that didn’t happen. (It didn’t!). 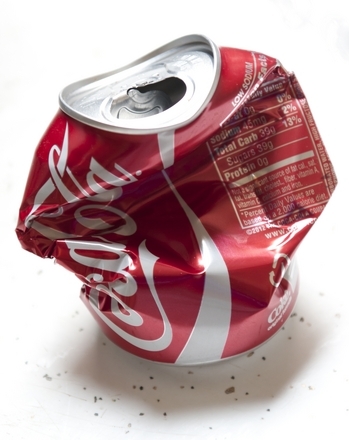 I woke up in the night with the feeling that hunger was like being a soda can falling deeper and deeper into the water and beginning to scrunch inward because of the pressure. Day Two, I had to decide how much of my monthly allotment of $194 I was going to spend at once. The terrifying truth is that I spent $72.45 of it – nearly half. 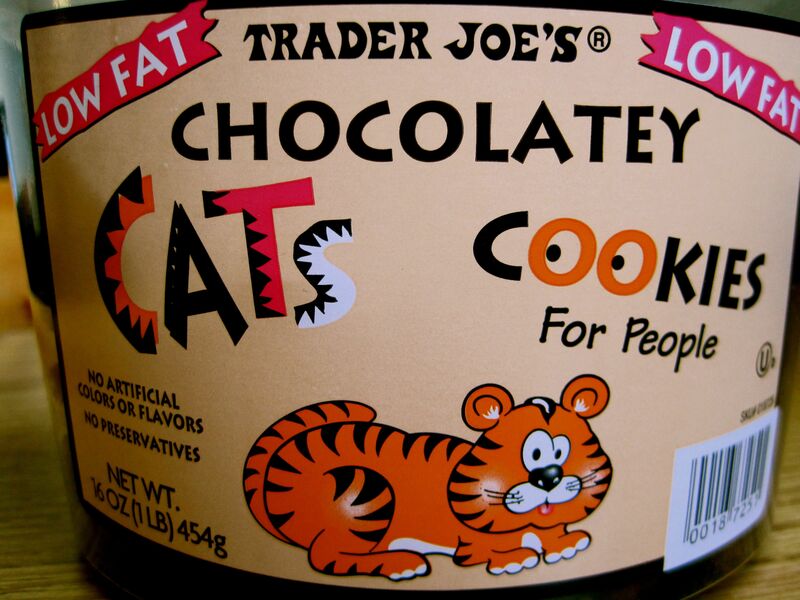 I went to Trader Joes because after a little price comparison, I reckon that I could buy staple items very cheaply. It’s my food, don’t touch it! At the bottom of this post for those who are detail-minded is my rationale for purchasing those items and where it leaves me for the rest of the month. I broke my fast this morning with some oatmeal with pecan nuts. I have always hated oatmeal, especially made with water, but I have decided that if my food security challenge is to be successful, I just have to get over those chewing cardboard flavor wallpaper paste feelings. 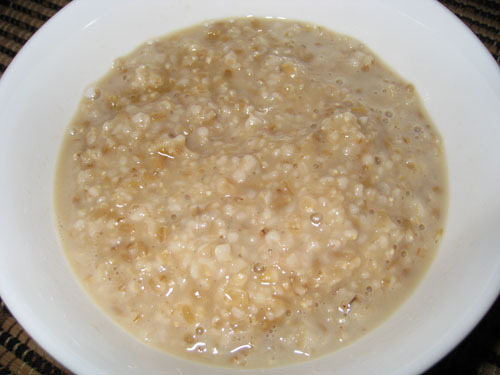 The reason is that Oatmeal is cheap and nutritious and it helps stave off hunger pangs. After 36 hours without food it tasted pretty good, we’ll have to see how long I can keep it up. I also had a delicious lunch of eggs and vegetables, with a bean salad for dinner and a couple of kitten cookies to just let myself know that I can let my hair down ($2.99 for a big box). Stay tuned for more reports as I find out more about food insecurity in Santa Barbara County. I’m hoping that I’m not a total fool, because I estimate that certain items will last all month (Chicken stock paste, Rice Vinegar, Red Wine Vinegar, Olive Oil, Peanut Butter, Kitten Cookies, pecan pieces, Tea Bags – if I use them twice, Oatmeal and Garlic) and that the total cost of these items was $27.60 or $6.90 per week. 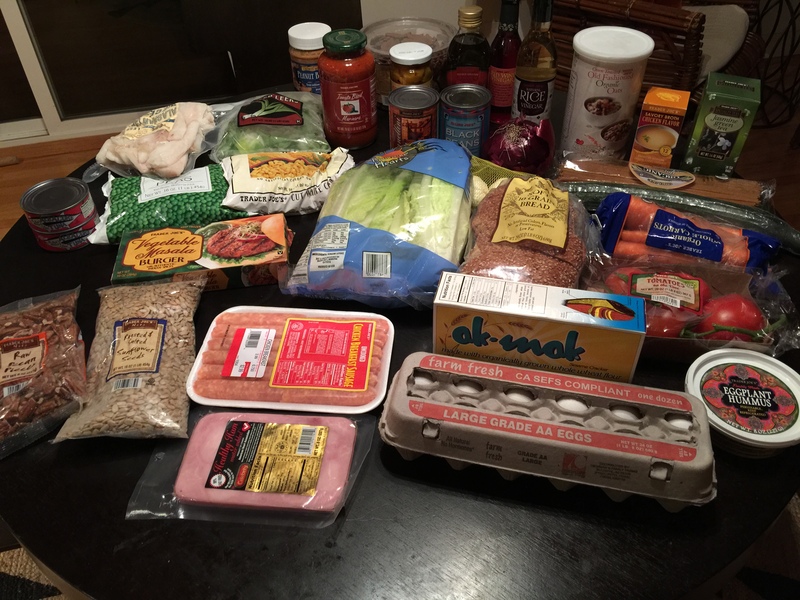 I further estimated that other items would last for two weeks (leeks, cod, sunflower seeds, peas, tomato sauce, chicken sausage, corn, bread (frozen), ham and eggs) with a total cost of $24.28 or $12.14 for each of the weeks. I used these calculations to deduce that if I spread the cost of the monthly items over the remaining week, and the two week items over that period, the true cost of my week’s shopping was $39.45, comfortably under the $48.50 I have for each week. What it does mean is that I have very little margin of error for the next three weeks.